Here is a story that is becoming all too typical these days. I read about it at Breitbart.com. In an authoritative and dynamic open letter written by David Green, the openly religious Christian CEO of Hobby Lobby, the arts and crafts company with 525 stores, Green indicts the Obama Administration for its war on religion and his company’s decision to file suit against the HHS mandate that discriminates against the religious. Hobby Lobby is a remarkable company; it started as a miniature picture frames business located in Green’s garage in 1970, now has stores all across the nation, and carries no long-term debt. The threats and bullying by the Obama Administration against those of religious faith continue apace. But those of us who honor faith know that we will fight back: the pendulum will surely turn. Do you begin to see a pattern here? Businessmen who wish to run their businesses by Christian principles, whether it be Hobby Lobby, Chick-Fil-A or hospitals run by the Catholic Church, are being singled out for harassment because they hold their principles to be of greater importance than the dictates of the state. In other words, they are rendering unto Caesar what is Caesar’s and to God what is God’s. Unfortunately, that is not good enough for our modern Caesars. They demand our sole loyalty and hate and detest anything that might come in the way; churches, businesses, families. It is bad enough that these people are entrepeneurs and do not rely on the state for direction. Now they insist on following their own conscience. I think the following quotes will give a good idea what our Caesars are really after. That was from Benito Mussolini. 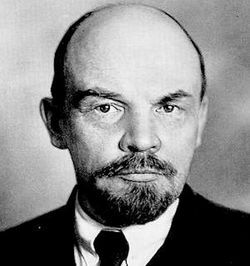 Here are a few from Lenin that seem appropriate for our time. I used to think that Obama was an incompetent fool. Now I realize that he knows exactly what he is doing. Yes, Fascism Has Come to America (nicedeb.wordpress.com) Or Socialism, or whatever the control freaks are calling themselves this year. It is all the same to those of us who want to be free. It would seem that President Obama is going to move ahead with some form of gun control policy in the next few months. Now, there are two way in which he could go about this. One would be to meet with Congressional leaders of both parties and even with gun rights advocates such as the NRA and craft legislation that would be acceptable to a broad base of the American public. Such legislation wouldn’t amount to much and would probably have no real effect on gun ownership or gun crimes, but he, or a future Democratic president, could use such legislation as a precedent for the more draconian anti-gun laws they really want. This would be gun control and eventual confiscation by slow degrees, and would have a good chance of succeeding. The other option would be for Obama to propose a series of wide ranging restrictions on gun ownership, which would be certain to arouse opposition in Congress from all the Republicans and many Democrats. He could demonize the NRA and gun owners generally as fiends who want to see children murdered and, when it became obvious that his proposals had little chance of getting through Congress, simply enact as much as he could through executive orders. Knowing President Obama, which course do you think he will follow? My guess would that he will pursue option two. Obama does not seem to be interested in any sort of incremental action. He wants to be a transformative president. Obamacare could have passed a whole lot more easily as a series of small acts than as the unpopular monstrosity it became, but that is not Obama’s style. This story in ABCNews suggests that I might be right. US president Barack Obama is reportedly considering implementing the most comprehensive gun control measures seen in decades. A task force led by vice-president Joe Biden is reportedly considering wide-ranging proposals going well beyond simply reinstating a ban on assault weapons and high capacity ammunition. The Washington Post reports that a national data base tracking gun sales, mental health checks, and background checks are all on the table. And in a move that is set to anger opponents of gun control, the taskforce is reportedly looking at measures that can be implemented by the president’s order without the approval of Congress. The White House is understood to want swift action while the public remains outraged over the deaths of 20 children and six adults in the Newtown school shooting in Connecticut last month. Some reports suggest Mr Obama will have the proposals on his table within weeks. Democrat congressman Chris Van Hollen says any approach the Obama administration takes must be comprehensive. “The argument against gun safety provisions is always because it doesn’t solve everything we shouldn’t do anything and I don’t subscribe to that,” he said. “I believe we need a comprehensive approach, we need to look at all the different elements here and just because a particular effort won’t prevent something in one particular incident, doesn’t mean you shouldn’t do anything that might help in other incidents. With the new Congress sworn in just days ago, 10 different bills are already on the table dealing with gun laws separate to Mr Obama’s working group. So, he is going to move fast and he is not going to pay to much attention to the what the law or constitution says about the matter. Now might be a good time to stock up on ammunition. It is probably a terrific time to invest in gun manufacturers’ stocks. And, if things keep going the way they have been, it might be a good idea to prepare for another Civil War. White House considers broader US gun control – China Daily (chinadaily.com.cn) I bet the Chinese would really love that.